Gail Swain Hord, 56 of Weston NE died Friday, October 5th, 2018 at home in Weston from complications of a long illness. She was born September 17th, 1962 in Seattle, WA to Emerson and Alverna Swain. 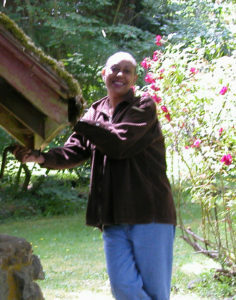 Gail graduated early from Lincoln High School in Seattle to work 21 years for the Seattle King County Superior Court, the Seattle District Court and further on with surviving husband David Hord of Weston in the Western Washington region for their family business in the Kitsap County area of Washington. Gail and her husband David were married for 30 years. Gail and David have a son Zachariah Hord who resides and works in the Wahoo area. Gail will always be a loving mother and spouse; and to all in her family she is greatly missed. We thank our extended family dispersed here locally and throughout the country for their thoughts and prayers. She is with our Lord now and with God’s grace we will all see her soon. I love my auntie Gail. Wish we could have been closer than we were. God Bless your son Zach. my aunt Gail we here your Seattle blood family we love you and wish we had known what happened earlier. Love you Dave, your family is in my thoughts and priers my friend!! We are so happy to have seen Gail in May! Our thoughts and prayers are with you and Zach.